Patrick Burns focuses his practice on ADR and civil litigation. He is licensed to practice law in Minnesota, Wisconsin, North Dakota and South Dakota and is peer-review rated AV® Preeminent in Martindale-Hubbell. Patrick represents individuals, businesses and non-profits with issues ranging from personal injury, employment and consumer matters to franchise, commercial and contract matters. In addition to being a practicing mediator and arbitrator, he has extensive experience representing parties in mediation and arbitration, and formerly served as vice president of the American Arbitration Association in Minneapolis. Patrick is one of only three mediators in Minnesota to be certified by the International Mediation Institute (IMI). 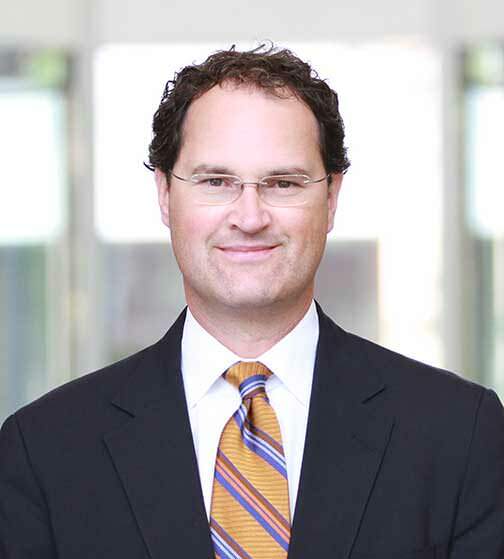 He was recognized as a “2015 Minnesota Lawyer of the Year” by Minnesota Lawyer magazine. Additionally, Minnesota Lawyer named him one of 20 “Up and Coming Attorneys” in the state in 2007, and in 2010 he was named a Super Lawyers “Rising Star” in ADR and litigation by Minnesota Law & Politics. Mediation is a process of assisted negotiation and private dispute resolution (ADR) where a neutral third-party (mediator) is hired to assist parties in resolving a conflict. Arbitration is a process of private dispute resolution (ADR) where a neutral third-party (arbitrator) is hired to assist parties in resolving a conflict. An ombudsman serves as a neutral, confidential and informal resource for employees by telephone or in-person at a location that is private and external to an employer’s place of business. Patrick Burns focuses his practice on ADR and civil litigation. He is licensed to practice law in Minnesota, Wisconsin and South Dakota and is peer-review rated AV® Preeminent in Martindale-Hubbell.